Recently saw a compelling piece in Smartnews.ru. Had not heard of the site, but its text and photos vividly convey the plight of the inhabitants of Russia’s unneeded military towns. Five hundred residents of Gornyy, a military settlement on Iturup in the Kuril chain, have appealed for help to resettle them or fix their broken down homes. 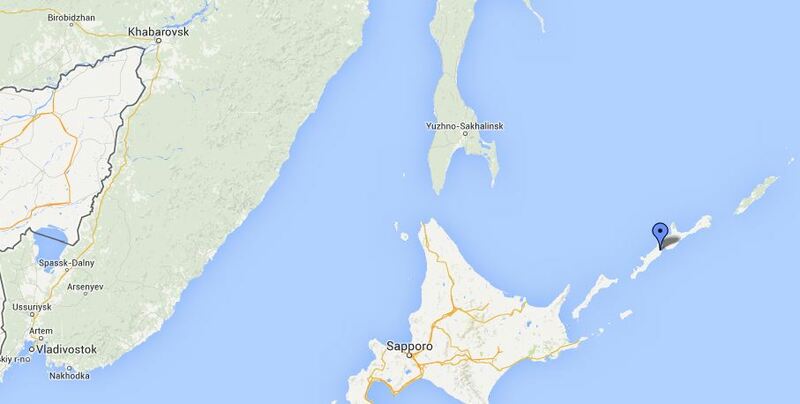 Iturup is the northernmost of the four southern Kuril islands which Japan claims as its Northern Territories. Smartnews writes that the Ministry of Defense still controls Gornyy, but only in a formal sense. In reality, it has “thrown away” these former colleagues. Local authorities want to help, but don’t have a legal right. They can’t spend money on territory still belonging to the MOD. They aren’t allowed to replace drafty old windows in buildings under a regional initiative called “Warm Windows.” The Sakhalin Oblast Duma has appealed to Defense Minister Sergey Shoygu on Gornyy’s behalf. Forces deployed here, units of the 18th Machine Gun-Artillery Division, were withdrawn from the area, but residents remained with no one to maintain their apartment buildings. Those who could left. Those not expecting an apartment elsewhere from the MOD, or with nowhere to go otherwise, mostly military pensioners and their families, stayed behind. Those with jobs work mainly at nearby Burevestnik airfield, built when the Japanese still controlled Iturup. They will probably become unemployed when a new airport opens on the Sea of Okhotsk side of the island in the not-too-distant future. Officials don’t even come to Gornyy because you can’t pass through it. It’s the most remote populated place on Iturup. It’s 50 km to the rayon center (Kurilsk) and the MOD owns the road and isn’t in a hurry to maintain it. Local authorities do what they can, arranging traveling medical care for people in Gornyy. But ultimately, Smartnews writes, neither Gornyy nor Sakhalin can decide anything, the MOD needs to make a final determination on its property and clarify the fate of those living in the settlement. Some former military in Gornyy, however, still hope the MOD will deploy an S-400 unit near their settlement and revitalize it. 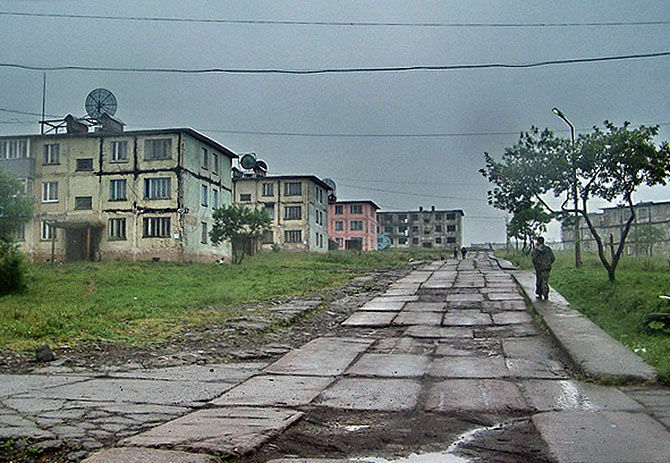 Gornyy is an extreme case, but still similar to that of thousands of other military towns as well as many neglected and forgotten civilian settlements. Or about to be missed. 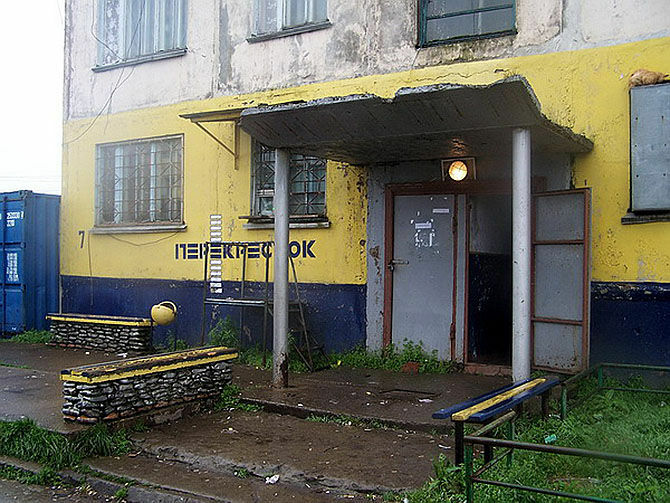 Recall some background on Russia’s military housing issue. 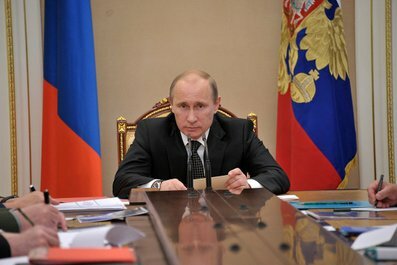 In 2012, President Vladimir Putin publicly set his latest deadlines for resolving the military’s housing problems: 2013 for permanent apartments and 2014 for service apartments. He just awarded himself an extra year on each. They had been 2012 and 2013. And 2012 and 2013 weren’t even his original deadlines. When Sergey Shoygu came to the Defense Ministry last November, he faced at least 80,000 men, officers and former officers, in line for permanent apartments owed them on retirement. The MOD says there were approximately 60,000 needing them at the beginning of 2013. The Defense Ministry’s Chief of the Housing Support Department (DZhO or ДЖО) Sergey Pirogov has only been on the job about a month. 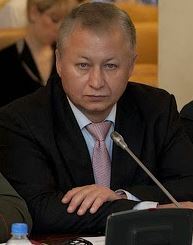 Previously DZhO’s deputy chief, he replaced his boss — Galina Semina — a Serdyukov appointee. On 1 October, Pirogov told the RF Public Chamber that 41,400 servicemen will receive permanent apartments in 2013. He claimed 16,200 already have this year, and 25,200 will receive them in November and December. There is simply no way the MOD can put more than 25,000 in apartments during the balance of this year. Despite Pirogov’s statement, there is probably no one who believes him. Pirogov has called permanent housing a continually “flowing” problem; 24,700 new men joined the line in 2012 and 9,900 this year. The MOD grapples with its housing problem using two instruments — apartments in their “natural form” or generally despised GZhS, State Housing Certificates. It also hopes soon to make the One-Time Monetary Payment (YeDV or ЕДВ) a possibility. If the Finance Ministry will agree on an amount, and the Duma approves some legislation this fall, the YeDV might start on 1 January. It would be figured on the cost of a square meter of housing, years served, and household size, and presumably won’t be less than 3 million rubles and military men hope it’s a lot, lot more. In mid-September, Pirogov effectively admitted the military department came to the idea of the YeDV in order to get around the problem of massive corruption in military housing construction. Lots interesting here . . . Pirogov talks pretty clinically about those left “at the disposition,” but it’s a difficult life for an officer living in his garrison on a fourth of the pay he had when he had a duty post. And, Pirogov says, the situation goes on a long time and costs up to 30 billion rubles per year. Pirogov says the MOD has also been spending 30 billion on housing construction, including on 10,000 unoccupied apartments. But construction hasn’t solved the housing dilemma. Maybe the housing situation has improved somewhat, but, as Pirogov admits, it’s still a long way from solved. And Putin’s deadlines come and go and come again. RF President Vladimir Putin last week held the first meeting of his third term to discuss military priorities with senior uniformed officers. He looked less impressive, and less in command of his brief in the video of his introductory remarks than on similar past occasions. But he clearly laid out his main concerns for Russia’s top Armed Forces leaders: training, Aerospace Defense Troops, rearmament, contract manning, pay, and housing. He seemed confounded by the Defense Ministry’s failure to pay new, higher military salaries on time, and by the continuing lag in providing housing to servicemen. He said his Control Directorate is investigating both situations. Taking it from the top, Putin said the state of military training and exercises today is completely changed from past years when the Armed Forces were rarely active. The president twice emphasized conducting joint exercises with Russia’s allies in the CSTO, CIS, and SCO. His second priority is developing the newly created and reformed Aerospace Defense Troops. The fourth priority is manning, and the earlier announced effort to increase professional soldiers in the ranks to 425,000. This, he says, would increase their numbers two and a half times, reportedly from 170,000 today. Putin made the customary comments about carefully screening and selecting enlisted troops, and giving them incentives to serve well. Where are outside observers left? Training and exercises have increased as a function of more budget and fuel, but this didn’t happen until the late 2000s. Aerospace Defense Troops are another structural reorganization, potentially a good one, not unlike other reorganizations since the 1990s. Rearmament is a serious downfall. Despite the Putin factor, nothing really happened on this score until late 2009. It’s complicated by the difficulties of fixing a dilapidated OPK. And, although there may be some favorable signs, success here remains to be seen. Contract service is a second serious downfall. Putin’s first effort to professionalize the army started in 2002. The General Staff Chief declared it a dismal failure eight years later. The Defense Minister revived it on an enlarged scale one year after that. Demographic reality and draft problems leave Moscow no other choice. Low military pay is a downfall. 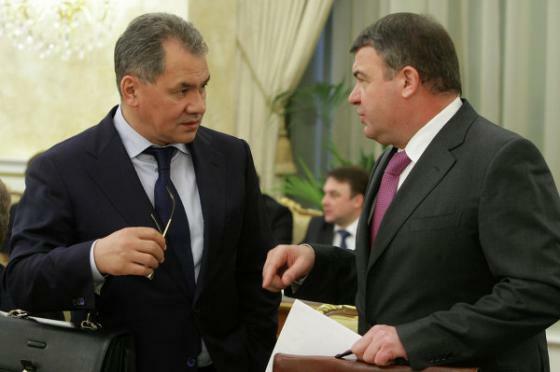 It became more of a realistic priority with Serdyukov’s arrival in the Defense Ministry, but it was still five long years before the new, higher pay system was implemented. And Putin admits how poorly it’s functioning. Housing is also a downfall. Despite progress since Putin first really addressed the issue in 2005, it’s still problematic. And the president publicly moved back his timetable for a solution. The downfall areas are problems requiring a long-term, sustained commitment to resolve. Putin 2.0 is wrestling with the same military issues he identified back in 2000. It’s still far from certain he can or will bring them to a successful conclusion. This author believes there’s been progress on Russia’s military issues during the 12 years of Putin’s time as national leader. But future economic or political challenges could derail progress toward rebuilding the country as a full-scope military power. Is Putin resetting or rebooting defense policy? Yes, at least jumpstarting it on key issues. But a restarted or jumpstarted computer, car, or policy usually works (or doesn’t work) the same way it did before it stalled. So this isn’t necessarily the path to a successful finish. But no one ever said making and implementing policy was easy.